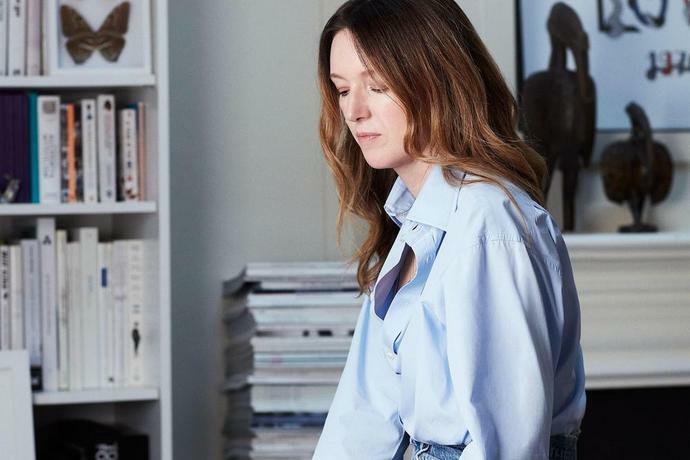 Since becoming Givenchy's first female creative director, Clare Waight Keller has done far more than dress a duchess-she's tried on change and finds it fits just fine. Although she heads a storied Parisian couture house, Givenchy's creative director, Clare Waight Keller, does much of her creative strategizing in stately isolation a Eurostar's journey away from the brand's hub in the bustling Eighth Arrondissement-under the whitewashed eaves of a handsome Georgian house in London's leafy Kensington, in fact, where she has transformed a former pied-à-terre into her research-and-design laboratory, lined with books and her archive. 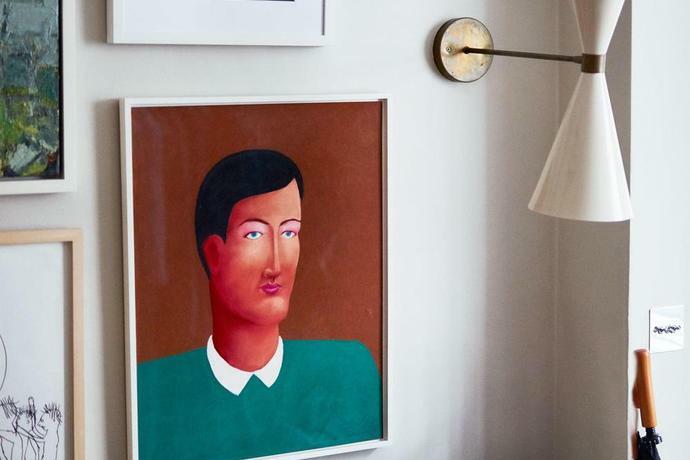 A brace of former bedrooms is now subsumed by racks of garments that might trigger design ideas-pieces from her own wardrobe or finds from decades spent trawling the Portobello Road and London's quirky vintage stores. The giant inspiration boards that line the walls of the Givenchy studios are photographed and printed out to a manageable scale for Waight Keller to work on here, too (she often wades through 1,000 images to arrive at the 50 she needs). "Visuals are so critical to getting the mood and to everyone understanding it," Waight Keller says. "It's important to have the right information around you-and it's nice having a completely silent space that's just mine to think over everything." From Tuesday through Thursday, Waight Keller juggles a frenetic schedule of meetings and fittings at Givenchy in Paris. Her team there is relatively small, considering the ten collections a year that she produces (four men's and six women's, including the couture). She has acquired what she calls "a completely new set of personalities" at Givenchy after arriving there from Chloé a little less than two years ago, and she relishes the different points of view. The new team had a learning curve too. "Riccardo worked completely differently to me-extremely last-minute," Waight Keller explains of her predecessor, Riccardo Tisci, "so he needed enormous teams of temporary people just to make sure it happened. I prefer working in a little bit more of a managed way with smaller teams of more senior people." 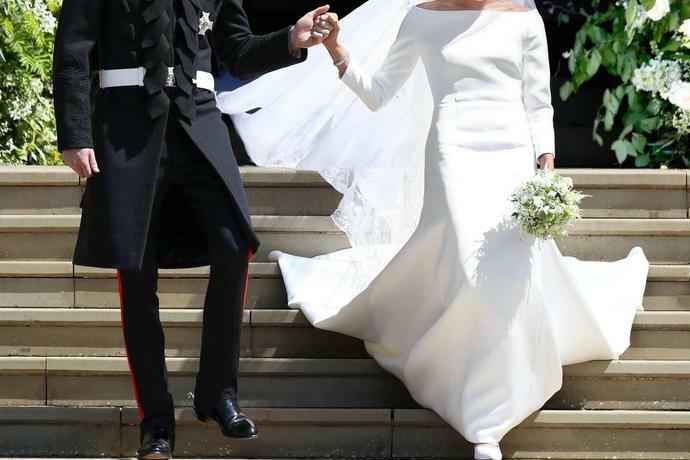 Waight Keller's Givenchy clothes are as disciplined and no-nonsense as she is-witness the austerely elegant dress of chalk-white silk cady that Meghan Markle donned to wed Prince Harry on a bright spring afternoon, which instantly propelled the designer and the brand into the international spotlight. 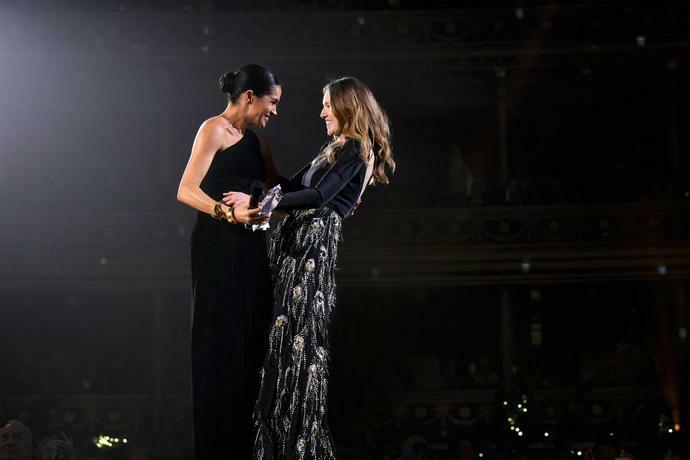 The friendship between Waight Keller and her paradigm client was abundantly in evidence at the British Fashion Awards in December, when the Duchess of Sussex, cradling her baby bump in one-shouldered Givenchy black velvet, astonished Waight Keller by presenting her with the British Designer of the Year Womenswear Award. "We have a deep connection to what we wear," said the duchess in her speech. "This connection is rooted in really being able to understand that it's about supporting and empowering each other, especially as women." 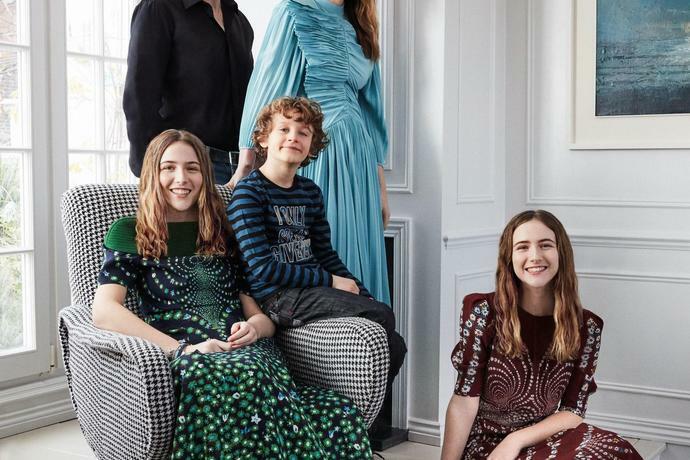 From Friday to Monday, Waight Keller retreats to London to spend time in this inspiration hub and with her family (she is married to the American architect Philip Keller, whom she met in New York and with whom she has twins Charlotte and Amelia, sixteen, and Harrison, seven). They have now moved back from the spacious apartment on the Bois de Boulogne that went with Waight Keller's position at Chloé to their 1830s terraced house in the farthest reaches of London's King's Road, which is decorated with intentionally neutral elegance as a visual palate cleanser for someone who spends her working life surrounded by color. It's a philosophy she carries through into her own wardrobe: Today she is wearing vintage navy matelot pants with a black V-neck cashmere sweater and strappy pale-beige high-heeled sandals. "This is basically 20 years of my fashion life," says Waight Keller, looking around her London studio. 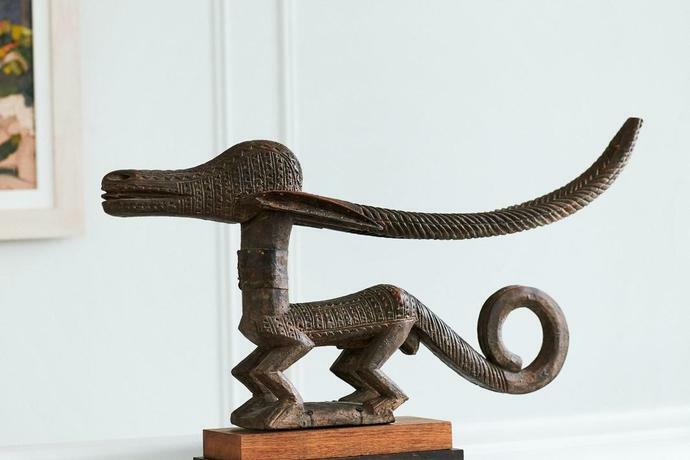 There is a collection of Yves Saint Laurent's love posters above the chimneypiece alongside some East African sculptures; there's also a wicker chair and a desk, but the room is mostly furnished with books and albums of Waight Keller's fashion drawings, which document her career working alongside some of the greatest names in fashion. At the Royal College of Art, Waight Keller recalls, the mantra was "Don't start your business. Go out there and learn in the business." She did just that, landing a plum job at Calvin Klein right out of the gate in 1993. "It was a really fabulous moment to be at Calvin because he was there, Kelly Klein was there, Carolyn Bessette-Kennedy was there; Kate [Moss] and Marky Mark were doing the campaigns," Waight Keller remembers. "Everything was happening. It was his moment. It was fab." Four years later, she left to work with Ralph Lauren on the Purple Label menswear that was his ode to Savile Row and the highlights of his own wardrobe. "I really learned about tailoring at Ralph Lauren," says Waight Keller, "like the fact that his collars had to have seventeen pieces to them! It was an amazing experience, but after four years I was yearning to get back into womenswear." So Waight Keller joined Tom Ford at Gucci, alongside an impressive roster of fellow assistants that included Christopher Bailey, Francisco Costa, Frida Giannini, and Alessandro Michele. "It was a hotbed of strong talents who were really trying to push things and do things creatively-I think all of us had a vision and some ambitions for the top job," Waight Keller says. "Gucci was so hot, and Tom was everything. He tried to be as provocative as he could, and he pushed us to find new ways to do that. "That was my joy of working with all these people," Waight Keller says. "Everyone was so different. I found it fascinating to see a world through these visionaries-I learned something from every single one." In 2005, Waight Keller finally struck out in her own right as the creative director of the storied Scottish cashmere company Pringle of Scotland. (It was a medium dear to her heart: Her Royal College degree collection was cashmere knitwear sponsored by Loro Piana.) "I liked the fact that it was a small company because that gave me the room to find my feet in it," she says. Her collaborators included muse Tilda Swinton. "She came down from Scotland with a suitcase filled with a myriad of things," Waight Keller recalls. "Kilts and Victorian clothes and fabulous old jumpers and menswear items. It was fantastic." In the wake of the 2008 recession, however, the company's factories in Hawick were shuttered. "It was a tough time," Waight Keller recalls, "having to lose people. Suddenly I was sucked into the business side of the company to understand why this had to happen, and you realize the responsibility that you carry for people's lives and livelihoods. Even though we love doing what we do, there are those wake-up calls, and they change-a lot-how you perceive things." Waight Keller was subsequently hired at Chloé, reviving the floatily romantic, bohemian-chic look that had its roots in Karl Lagerfeld's work for the house and later flourished under Stella McCartney and Phoebe Philo. It was only after an informal conversation about fashion with the powers that be at LVMH when, to her astonishment, the talk turned to Givenchy. "My first thought went to Hubert [de Givenchy], and what I knew of him through his work for Audrey [Hepburn]," Waight Keller recalls. "Obviously I knew what the recent past was-and Riccardo did a great job over that decade. But I also knew there was this other past that hadn't really been tapped into." Waight Keller prepared what she calls "a 360 vision of what I thought the world of Givenchy could be-the key codes that the brand stood for. The vision of the woman surprised them because it was very different from the one I had at Chloé." "Clare is able to balance dream and rationality to perfection," says LVMH board member and Louis Vuitton executive vice president Delphine Arnault. "She always thinks of how her clothes will look on the customer-she tries on the samples, feels the fabrics. She is a woman designing for other women." Waight Keller admits that the first conversation she had when she joined Givenchy was about bringing back the haute couture. "You can't buy that prestige," she says. "You have to earn it over many years. It's not a small commitment-it's an expensive project to undertake. And it's a big risk because I'd never done it before. But I was so passionate about it because, for me, it's the top of the triangle. I instinctively felt that it was going to be the creative hub of everything that I would do-a laboratory to experiment on things you can't normally play with in ready-to-wear." 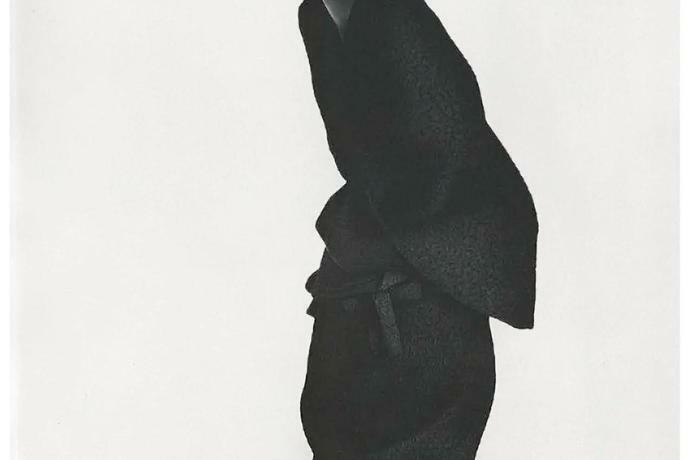 Soon after her appointment, Waight Keller paid a call on Hubert de Givenchy himself, who was intrigued to meet the first woman designer to helm the house he founded in 1952. She was awed by his legendary apartment in a magnificent eighteenth-century town house. "It was really jaw-droppingly gorgeous-the refinement, the elegance," she recalls. "A butler at the door. It was just from another era." Waight Keller found the ailing designer in a "very reflective" mood. "He'd heard that I was bringing back couture, and he was really thrilled," she remembers. "He said, 'That is the heart of my house. That's where I was the most happy, working with the clients. That was the dream part of the work for me.' "
With her designer's eye, Waight Keller noted the tiger- and leopard-motif silk velvet cushions in Givenchy's apartment, unearthed more 1960s animal prints in the archives, and incorporated them into her debut collection for the house-though she was clearly stung by what she describes as the "lukewarm" reception to this first outing, which was inspired by the codes she had divined through her research in the archives. "I think people were very confused," she says. "Where's the boho, and what's all the tailoring about? But I was leaving a lot of what I had worked on for the past six years. I loved it, but I'd done it, and I really wanted to work on something new." A week after our London visit, Waight Keller is installed in the Paris studios in the midst of preliminary fittings for the spring 2019 haute couture collection. 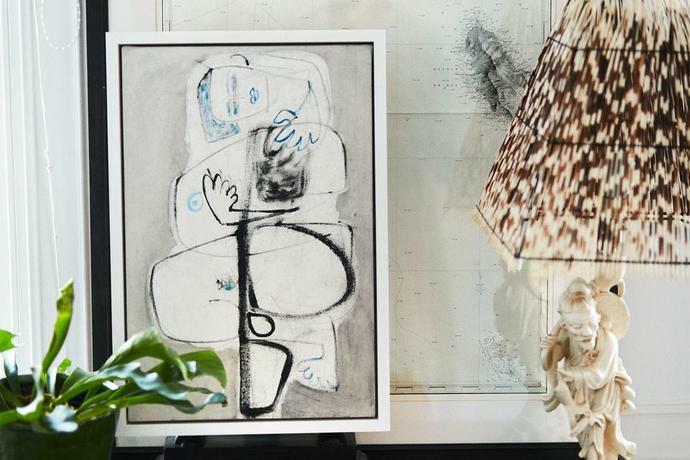 In the interim, she has styled the 2019 pre-collection and photographed it in Le Corbusier's Maison La Roche, worked intensively on the upcoming men's and accessories collections, and laid the groundwork for the women's ready-to-wear fittings that will follow in two weeks. "It's a really intense schedule," says Waight Keller. Small wonder that she favors working lunches at the studio-"an old New York habit." Waight Keller grew up modestly in Birmingham, in England's gritty Midlands, and one of her first memories is of her mother telling her to stand still as she pinned her homemade clothes on her. Later on, she and her sister joined in the process, and her love of fashion was born. The designer is in awe of the Givenchy craftsmanship. "I was just astonished at the level of creativity and perfection in the cutting. But at the same time, I wanted to bring in something that challenged it, so I would always be asking them, 'Well, can we do this a different way? '-to push them so that they don't always go to their known techniques." To keep the craft of couture alive, Waight Keller has encouraged an apprenticeship system and set up what she calls the "3-D Atelier," which is peopled by young art school students whose experiments feed both the ready-to-wear and the haute couture. "Because they haven't had the formal classical training, they approach it in a very different way," she explains. "It's an interesting laboratory of ideas. "There's an awful lot of pressure these days to do things at such a pace that sometimes you lose a bit of the soul," Waight Keller says. "I think there's a lot to be said for beauty and craft and taking time and making something very special, and I think people feel that when they see it." To detach, Waight Keller escapes with her family to the remote English county of Cornwall, where she is rebuilding an "ugly duck" house in traditional local stone with an amazing view of the sea and the picturesque tidal island of St. Michael's Mount. "We've got one neighbor, and then just fields, fields, and fields, so it's really, really quiet and lovely," she says. "There is something really nice about pushing yourself and getting everything done, and then actually having pure alone time." Unsurprisingly, the bridal business at the newly reborn couture is strong, but the designer has been delighted to see that the new clients are also drawn to the strict tailoring that she has focused on. The pragmatic Waight Keller also scrutinizes the brand's sales reports. "It's never-ending," Waight Keller says with a sigh, "a lot of things to keep revolving in your head. But I've got really good teams, I'm really organized, and I really love what I do-I'm not afraid of it."